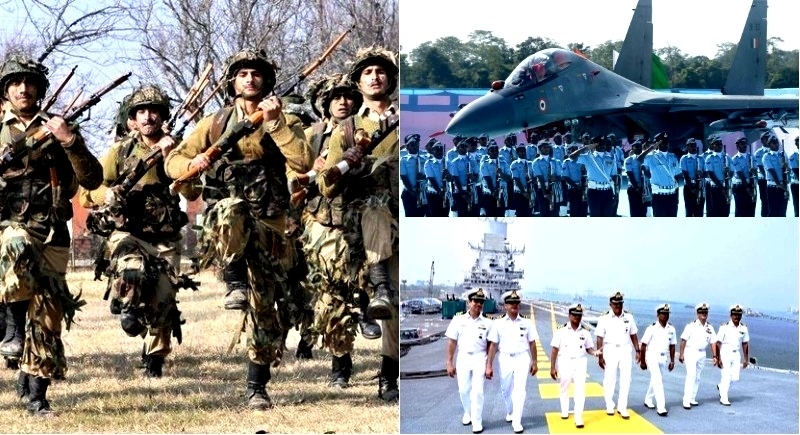 New Delhi, August 2: India has over 1.25 crores of a population, out of which only thousands get a chance to serve country getting selected into the Armed forces. Lakhs of people are interested to serve country after joining Armed forces but couldn’t because of the unavailability of vacancies, personal inability and due to many other reasons. However, there is a bright opportunity coming all of us to serve the country as at least 9096 officers post in all the three armed forces with the Army topping the list has the shortage or vacant. In a written reply to a question asked in Lok Sabha on Thursday, Minister of State for Defence Subhash Bhamre said as on January 1, 2018, the authorized strength of officers in Army was 49,933, but it has 42,635 officers, which is 7,298 short of the sanctioned strength. Minister Subhash Bhamre further said, “The authorized strength for the Navy is 11,352 officers as against the existing number of 9,746 officers, which is 1,606 less than the sanctioned number. While the Air Force is facing a shortage of 192 officers, Bhamre said, adding that it has 12,392 officers as against the sanctioned strength of 12,584 officers. To another query, the MoS for Defence said that an agreement on border defence cooperation between India and China was signed on October 23, 2013. "No new proposal for a defence cooperation has been received from China," the MoS concluded.